Local digital printing pioneers Graphic Laminates also had plenty to be excited about at this year’s Indaba and Expo. For the first time the company used ground-breaking Tyvek® synthetic paper for banners and its thanks to Design Indaba organisers Interactive Africa that this innovation was made possible. 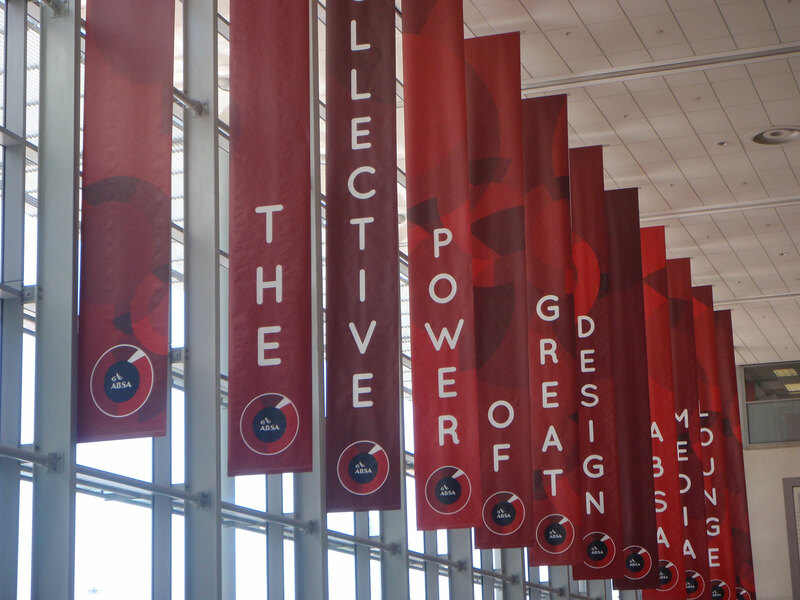 “The organisers wanted us to use en eco friendly product that was hardy and of course looked good and we were able to achieve this using Tyvek® for the 19 off 7 metre high double sided banners positioned throughout the Cape Town International Convention Centre for the duration of the Indaba and Expo,” says Graphic Laminates owner and founder Garth Richards.